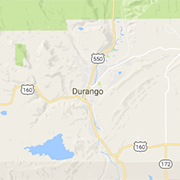 Subscribe to your favorite 360Durango.com sections with RSS feeds. RSS (Really Simple Syndication) allows you to compile news and info from many web sites into one location, so you can quickly browse what's new. RSS readers are available for free from companies like Google and Yahoo. They are also built into many web browsers and mobile devices.